Trompe l'Oeil! To cheat the eye! To concoct the perfect illusion! To deceive, lie and dissemble! What better way to encapsulate the myriad of tricks employed the villains to gain the upper hand on the heroes? But do the latter always fall victim to such cunning snares? Not so -- as illustrated in the twenty stories collected in this volume! 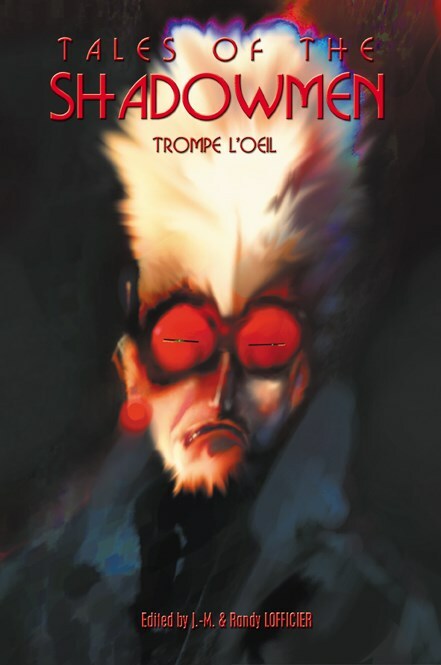 In this fifteenth volume of Tales of the Shadowmen, the only anthology dedicated to international heroes and villains of pulp literature, writers from England, France, Switzerland and the United States unite to pay homage to those great champions and master criminals who enchanted our adolescence.